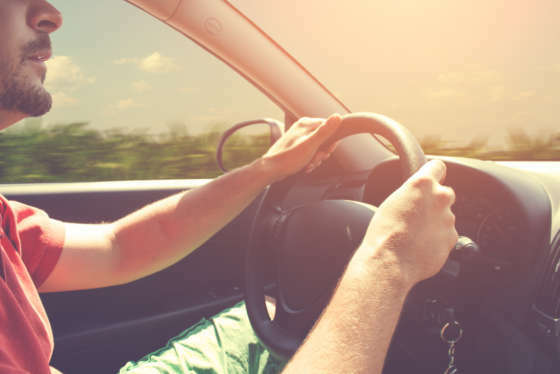 Heading to the Eastern Shore or hitting Interstate 95 as part of your Memorial Day weekend getaway? Here's what weekend travelers need to know to avoid the worst of the traffic. WASHINGTON — If you’re trying to avoid getaway traffic for the Memorial Day weekend, it really comes down to timing and flexibility. However, even that has become more difficult to predict over the years, said WTOP Traffic reporter Bob Marbourg. “Travelers have more resources available to make short-range and last-minute adjustments which history can’t help predict,” said Marbourg. In addition to WTOP’s traffic reports, travelers also utilize sources like the traffic overlay on Google Maps, Waze, their car’s GPS, and Twitter feeds from the agencies that manage area roads to tell them if their route is clear before they leave. Add in a little bit of bad weather or a traffic accident and the entire getaway can be derailed at a moment’s notice. And then, there’s human nature. “As everybody resolves not to make the same travel mistake they did last year, we run the risk that everybody may make a new mistake all at the same time,” Marbourg said. That being said, there are some general tips drivers can follow to help ease the holiday traffic pain. With each passing day this week, traffic will become heavier and heavier. “I expect middays to be heavier — you’ve got the normal people who are on the roads at that time, and you’ve got people who are getting ready to get where they’re going for the holiday weekend,” said WTOP Traffic reporter Reada Kessler. “Your morning rush hour is going to be lighter than normal,” Kessler said. The Maryland Department of Transportation says the best times to head eastbound across the Chesapeake Bay Bridge are before 10 a.m. and after 10 p.m. on Thursday and Friday. The MDTA recommends that Saturday drivers should get an early start and arrive at the bridge before 7 a.m. or wait until after 5 p.m. to avoid delays. But a chance of rain in the forecast for Thursday could lead to delays at the Bay Bridge for anyone trying to beat the Friday getaway traffic. Rain or wind can suspend two-way operations at the bridge, leaving eastbound drivers with one less lane, which, in the past, has led to massive delays for eastbound traffic. Drivers should consider postponing their trip, altering their plans or possibly taking another route. “The only control you have [over traffic] is when you leave. Probably the best time to leave is going to be the least desirable time to leave,” Marbourg said. Rain could also drive many beachgoers home early, which would also effect return traffic on U.S. 50, according to Marbourg. Travelers should monitor the weather forecast and check with WTOP Traffic before heading out. According to the Virginia Department of Transportation, the heaviest getaway congestion on I-95 is between 11 a.m. and 7 p.m. on Friday, based on Memorial Day weekend traffic data. Return traffic led to the heaviest congestion between noon and late evening on Monday, based on historic traffic data for the interstate. Check out VDOT’s interactive travel trends map to see more detailed data. A popular alternative to I-95 is U.S. Route 1, especially in Northern Virginia. But Route 1 will become clogged with bailout traffic soon after delays form on I-95. The worst southbound choke points are at the traffic signals in the town of Dumfries, Route 610, Route 630 and Route 17 in Stafford County. When maneuvering around congested thoroughfares, the widest workarounds tend to work best, but no alternate route is foolproof. Instead of I-95, some drivers opt for U.S. Route 29 through Warrenton to U.S. Route 17 between Opal and Falmouth. This trick doesn’t always pay off for southbound drivers. Long backups can form on Route 17 toward I-95. Delays are also known to form on Route 29 at a pesky traffic signal located at the southern end of the Warrenton Bypass. In Maryland, traffic congestion can form on Route 301 in Brandywine and La Plata during getaways. The traffic lights in Waldorf and La Plata effectively meter getaway traffic so that by the time drivers make it to the Governor Nice Bridge, delays are less intense as they typically are during the northbound return trip through King George County, Virginia. 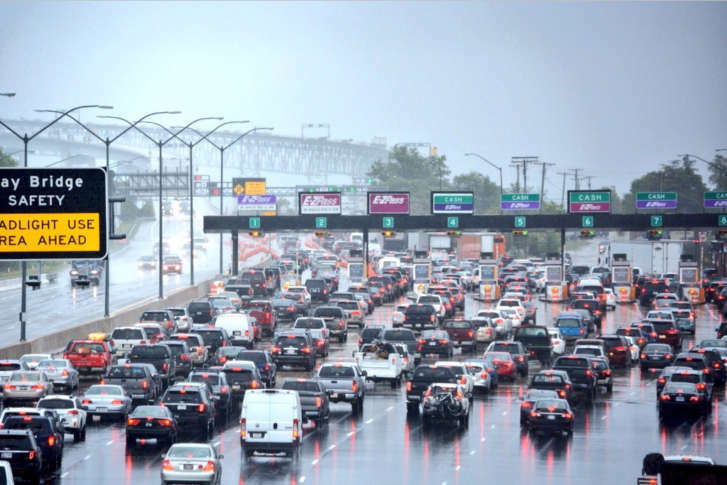 Portions of I-95 from northeastern Maryland to the Jersey Turnpike are known for recurring delays, especially on holiday weekends. For drivers with destinations in the Northeast, U.S. Route 15 through Frederick County, Maryland, is a reliable alternative to I-95. Although this “end-run” involves driving a longer distance, traffic often moves well as far north as I-81 in Harrisburg, Pennsylvania, and is far removed from the stop-and-go between Baltimore and Trenton. The warm-weather months can be a dangerous time on area roads. During an event Tuesday, officials emphasize what drivers can do to avoid deadly and injurious crashes.